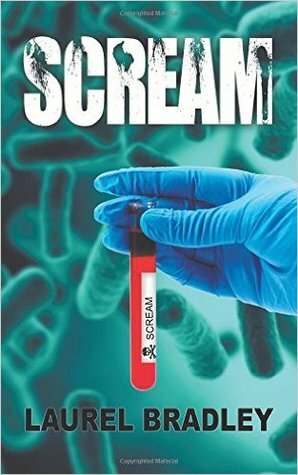 Enter for a chance to win a copy of "Scream"
Giveaway ends August 10, 2016. 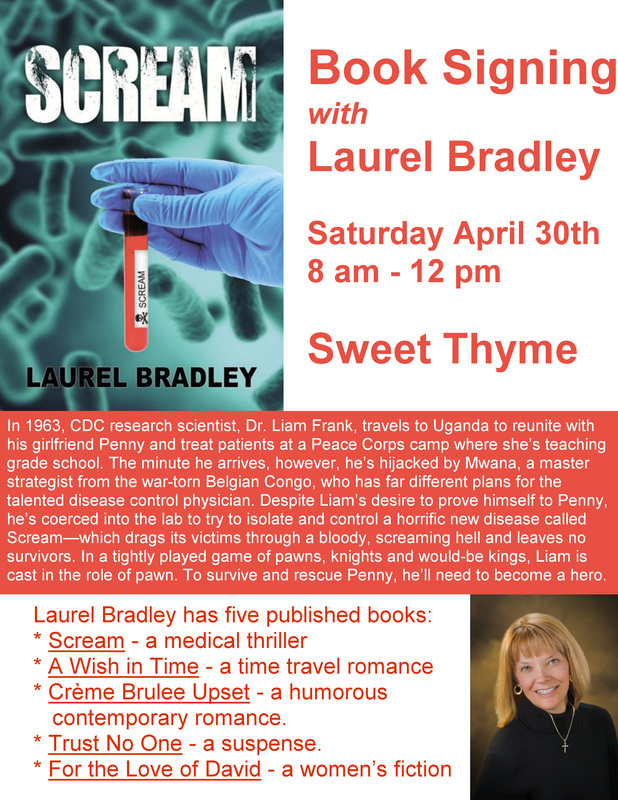 Antigo author Laurel Bradley’s new book, Scream, is almost literally to die for. 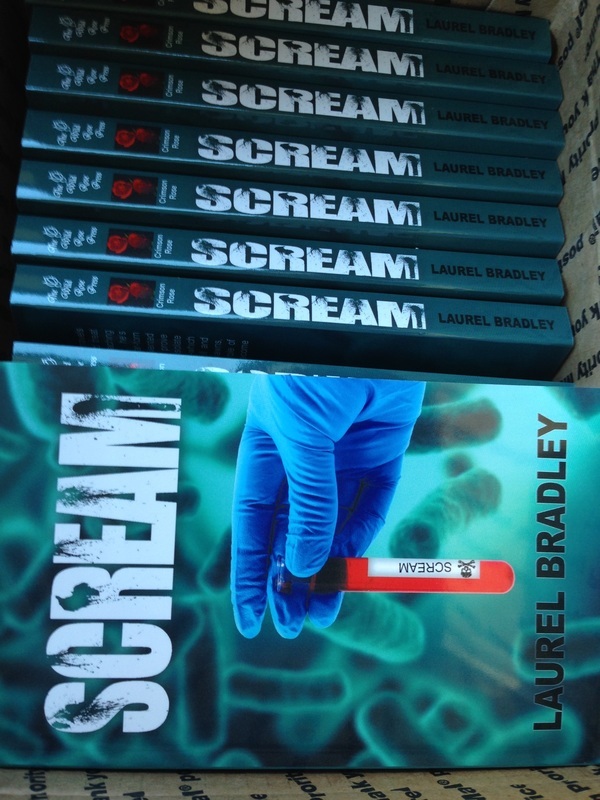 My advance box of Screams came in the mail last week and opening it was as loud as you’d imagine it would be, Bradley joked. It was exciting. It’s kind of like the birth of a baby...you wait and wait and suddenly it’s there. The story fits well in the turbulent sixties, but it could have easily come out of today’s headlines, she said. Okay, maybe that should say, "Get ready to READ "Scream". 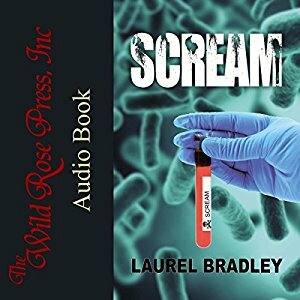 My editor at The Wild Rose Press says "Scream" is coming but hasn't given me a firm date, yet. Waiting for a book to be released is kind of like waiting for a baby to be born. You know it's coming, but you aren't exactly certain when. Patience is key. Here's a brief excerpt to read while you're waiting. A half dozen small grass huts appeared in the distance as the car approached. The double row of gold and brown huts accentuated the pale blue sky. Quintessential Africa. Beautiful enough for a magazine. The man stopped the car just outside the village and flicked his hand, shooing Liam from the car. This had to be the site of the illness. There wasn’t any obvious sign of life—no children ran around, no chickens pecked the dirt, no dogs lounged in shaded doorways. Liam opened the car door. Even as a resident, he’d never felt this ill-prepared before seeing a patient. He didn’t even have a stethoscope. He hoped Dr. Okimba had supplies. Liam’s feet barely hit the baked earth before the driver pulled the door closed and the Packard’s tires shot pebbles into the air. As the broken muffler’s roar diminished, another sound took its place. 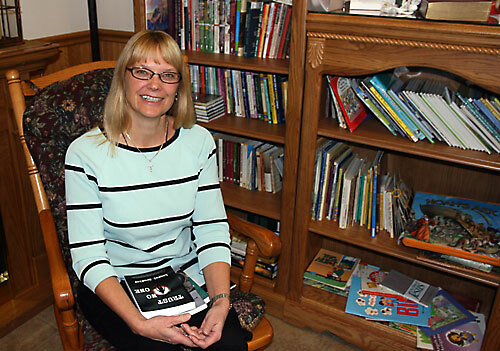 Thank you, Lisa Haefs for the nice photo and article for The Compass about how my faith affects my writing. For The Love Of David is a deep and beautiful novel that will take hold of your heartstrings on the first page and won’t let go until the last. Marissa Fleming is a bright, pretty college coed on a clear path toward success. Libby Armstrong is an overweight receptionist with a gentle heart and a quiet, lonely life. The two women have nearly nothing in common, but they become profoundly connected when a distraught and desperate Marissa secretly gives birth to a baby boy. When Libby notices movement from an abandoned duffle bag outside a grocery store, she assumes someone has left a litter of kittens out in the cold to die. When she unzips the bag and finds a newborn within, she knows that she should turn him into the authorities. However, after experiencing a childhood in foster care herself, Libby can’t give up the baby to the system. She takes the baby home, claims him as her own and names him David. David proves to be a blessing for Libby, adding wonderment and joy to her life. While she blossoms with the calling of motherhood, Marissa is wracked with uncertainty and regret. Did she do the right thing? Should she have kept the baby? If she could find him again, what would she do? Libby’s discovery and adoption of David is just the beginning of a finely-written, deeply moving story about two very different women struggling, rejoicing and regretting the choices that they’ve made. Author Laurel Bradley deftly captures the emotional turmoil that both Libby and Marissa experience, and, following in the footsteps of Jodi Picoult, paints her story in countless shades of gray. In particular, I was impressed with how skillfully Bradley wrote the impulsive Marissa, keeping her sympathetic and understandable even as she first abandoned her son and then committed an even more painful and dangerous act later in the book. For The Love Of David captured me from the first page. It was a joy to watch how David transformed Libby’s life, bringing friendships, love and self-acceptance. A big twist in the middle of the book had my heart racing for both the main protagonists. I can’t recommend this book enough. For The Love Of David will appeal to anyone who has ever lost or given away something precious and wished there was a way to reclaim that treasure once again."